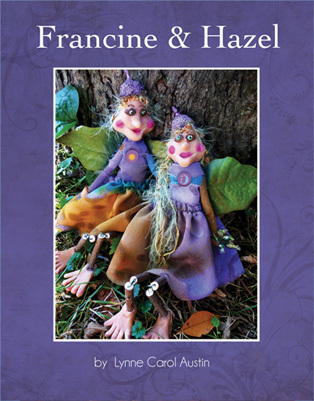 Francine and Hazel are woodland fairy sisters. They zip and dip amongst the flowers and trees, spreading pollen with their fluttering wings, wiggle their toes in the dew-swept grass and fly so fast they are unseen by you and me. But they have one problem. Francine only knows how to work, and Hazel only knows how to play! Mother Nature steps in, to teach these little fairy sisters how to solve this dilemma. Age appropriate for the shorter people, pre-school to third grade. Although, the tall people will have fun reading this too! Francine taught Hazel how to turn sour apples sweet. Hazel said, "But I like the faces people make when they eat sour apples!" And Hazel taught Francine how to nap. Although they did giggle quite a bit instead of sleep!" Little Berry loves the stories Mama Bear tells! She makes it oh so much fun to listen to how all the animals of the forest live and help teach each other about life. Whether it is a bedtime story or a hiking out in the forest story, all are ancient accounts, full of wisdom and lessons, to assist Little Berry to live a happy little bear life. Wolf is known as the teacher, Blue Heron helps us understand the deeper parts of ourselves and Salmon shows us how to go with the flow. In this chapter book, Little Berry comes to understand how all the woodland animals have a purpose in helping the younger ones learn and grow. This chapter book is appropriate for ages six to ten, yet anyone reading it will come away with the knowledge of the magic animals teach. 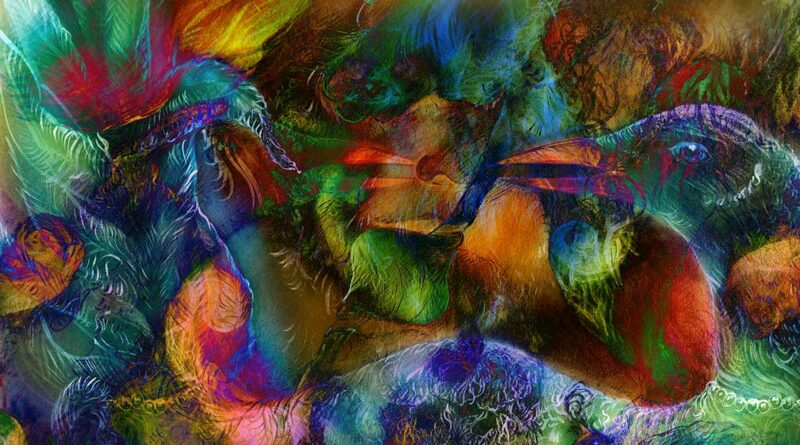 The spiritual messages through their appearance in our lives, has been taught in native cultures for centuries. Animals do have an importance mission to remind us how to live. "Mama, I want a great adventure too! I want to run with Rabbit and fly with Crow. I want to swim with Tad and hop with Frog, and dodge the bats. I want to see places I haven't seen and do scary things that turn out okay. I want to hunt by myself and wander the woods. I want to be bigger than I am, so I don't get scared at night when the wind howls too loud, and the lightening flashes too bright...I want to stay up late when you aren't around to protect me." He looked up into Mama's face. Mama saw a flash of thought in his eyes. She waited for him to speak as she took his paw. "Well, maybe all of that is not what I want just yet. Maybe some of that is too scary to do by myself. Maybe I always want to sleep in the warmth next to you, and know you are close. Maybe the dark at night is too dark yet. Maybe I could do adventures on my own next year. I guess I want to stay little, for a little while longer." Order Your Digital Copy on Amazon! Natasha Fortune-Price (Educator) has just reviewed Tell Me a Story Mama, Little Berry and Mama Bear. 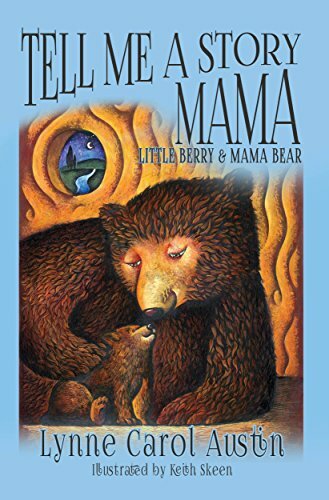 "Tell Me a Story Mama, Little Berry and Mama Bear is a beautifully written, inspiring story that has great appeal to parents and children alike. This story gently teaches important values and features lovely characters that are described in a captivating way. Gorgeous book for young children and families to read together...I read it with my own children during quiet time and it was so lovely, it features a loving parent/child relationship which, when reading together, gives a positive and warm feeling to all those listening. We loved it." Edith Ann Marie has a very special relationship with her grandma, in this 132 page chapter book. They play together, work together and just like being together. Edith Ann Marie has many questions about things in her life and Grandma is very wise with her answers. The common thread throughout this hard cover book is kindness, understanding feelings and love. Edith Ann Marie's sister brings in an element of difficulty and causes little upsets from time to time. Please enjoy Edith Ann Marie and Grandma to see just how they figure out life together. Maybe then, you can understand life better too! This book is appropriate for all ages. Grandmothers love receiving this as a gift, and teachers use the book in school to teach lessons on living. Even though there are ten chapters with six pages per chapter, the book is written so every page has a message. If you still want an age appropriate level, age four to eleven. But don't let that stop you from buying the book for other ages and enjoying it! "I tasted my tear once and it tastes like salt. Grandma says the ocean tastes like salt. "How can we be like the ocean, Grandma?" And Grandma says, "Edith Ann Marie, we are like all things in nature. We have the warmth of the sun in our hearts and the wind in our lungs. The moon is our internal clock and we are full of the richness of the Earth." And then she says more. "The trees give us oxygen, the plants give us food, and the animals give us friendship. We are like the Earth and we get help with life from the Earth." Order Your Print Copy on Amazon! 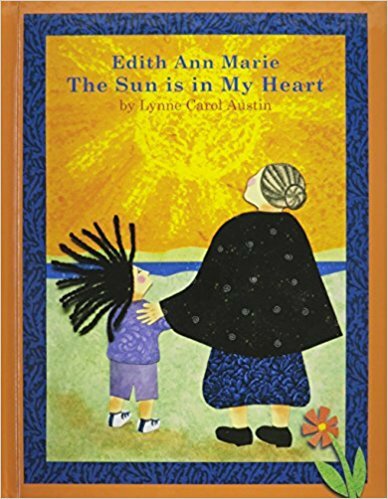 "Edith Ann Marie is a heartwarming story of the precious bond a little girl has with her own grandmother. The simple stories that instill value and encouragement are enough to empower a child’s infinite magnitude to imagine and grow. What are truly special are the moral lessons which the readers will take with them upon reading this hardback. Not your typical feel-good picture book, the conflicts in the stories are believable and presented in a subtle style while ingraining a kind of insight, which brings us to believe that persecution can come in many ways even within the family. Edith Ann Marie represents a child with the insatiable desire to explore and identify with everything life hands her, and we should all be so blessed to have a grandmother who is as lovingly supportive as hers.